Ever Wonder How Tires are Made? A tire is a flexible rubber casing that is attached to the rim of the wheel. It serves as the cushion for the wheels of the vehicle, providing a gripping surface for traction. In general, most tires are pneumatic, which means that pressurized air is held inside the tire. In the old days, tires had an inner tube to hold the air pressure. Today, pneumatic tires form a pressure seal with the wheel’s rim. A tire is made from rubber. Natural rubber used to be the primary choice, but synthetic rubber is now becoming popular. The rubber used in the manufacture of tires is treated with many chemicals then heated to achieve the desired strength, wear-resistance, and resiliency. Tires today undergo curing to strengthen the rubber. The tire features the tread, body, and beads. The tread is the outer part of the tire, with a pattern that comes in contact with the surface of the road. The body of the tire provides support to the tread and lends shape to the tire. The beads are metal-wire bundles that are covered by rubber and hold the tire on the wheel. Engineers design tires based on analysis of data collected over many years of tire performance. A tire is manufactured by putting several layers of chemically treated rubber around the metal drum of a tire-forming machine. The assembler cuts and places the rubber strips to form part of the tire. At this stage of production, the tire is referred to as “the green tire.” The green tire is removed from the drum and placed in a mold for curing. 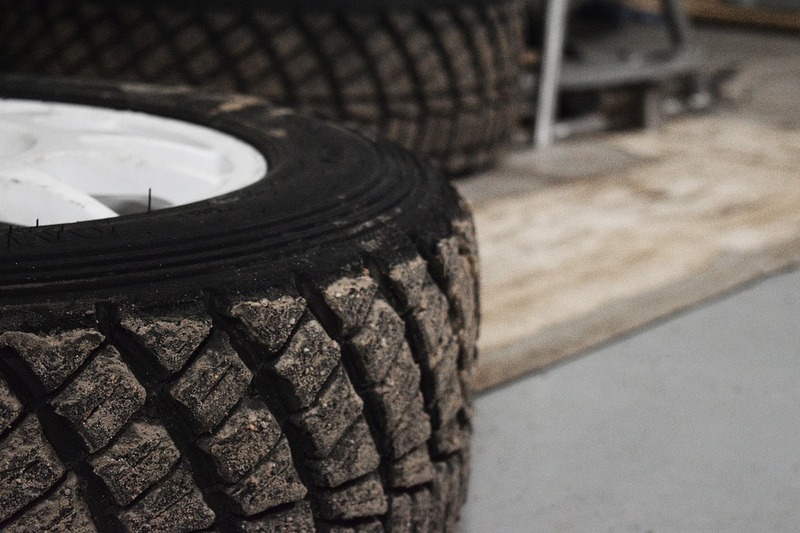 After curing, the tire is sent to cool and subjected to testing, with each tire thoroughly inspected for any flaw. The tire is then put on a test wheel where it is inflated and spun. Sensors will determine if the tire is balanced and if it runs a straight line. Once it passes the testing, the tire is moved to the warehouse to be distributed later to stores. The tire is subject to rigid quality control at every stage of production, beginning with the inspection of the raw materials. Different methods and tools for quality control testing are used to ensure the best output possible. After all, people’s safety is on the line when it comes to tire performance. The final test of tire quality comes from the consumers and tire dealers through feedback on the actual performance of the tires. Tire Store Utah > Blog > Ever Wonder How Tires are Made?